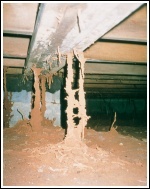 Chemical pesticides are often a first choice for getting rid of subterranean termites - but they are also the most dangerous choice. Months or years after a pesticide has been applied, it can continue to release chemicals into your airspace. Do you really want to risk contaminating your air with toxic products? 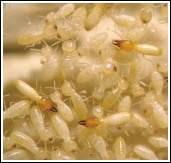 Buy this SaferBuilding™ How-To Sheet to learn alternatives to controlling termites, understand the safety issues involved, and how to talk to your contractors about them.